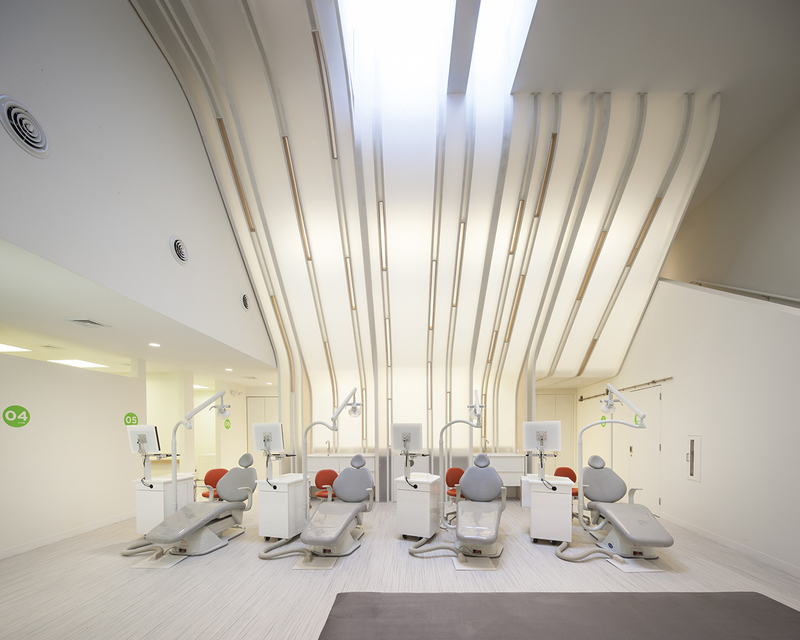 The double height treatment space in this orthodontics center is framed by a beautiful, 18 ft tall backlit translucent wall that curves down in sections to frame and light the room. 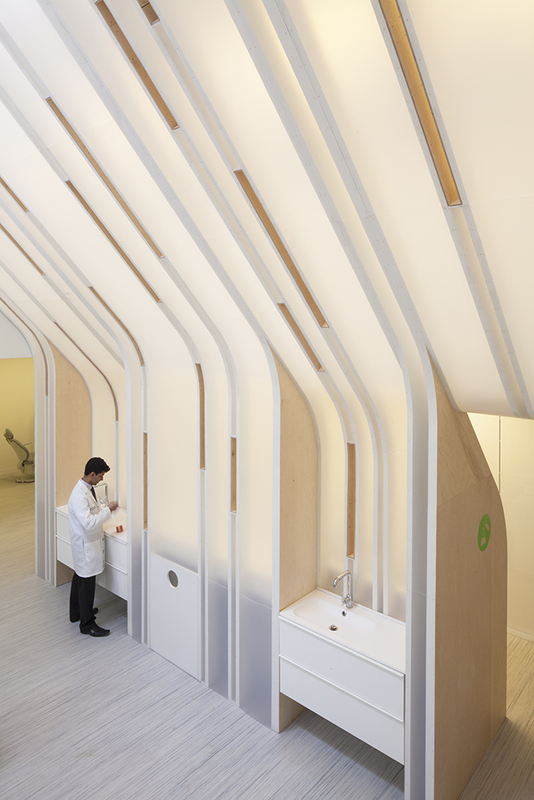 The giant lofty ceiling has personality and feels very clean and sculptural–it is a revelation in a room where patients routinely lie back, looking up. The space feels almost spiritual, coaxing the clinical into a contemporary form. We did wonder whether teenagers, a main audience of orthodontists, would share our appreciation for the open, airy place.